Increase your self-efficacy and believe in your ability to make positive changes in your life. Stay hopeful on your journey and remember: even small amounts of progress are still progress. 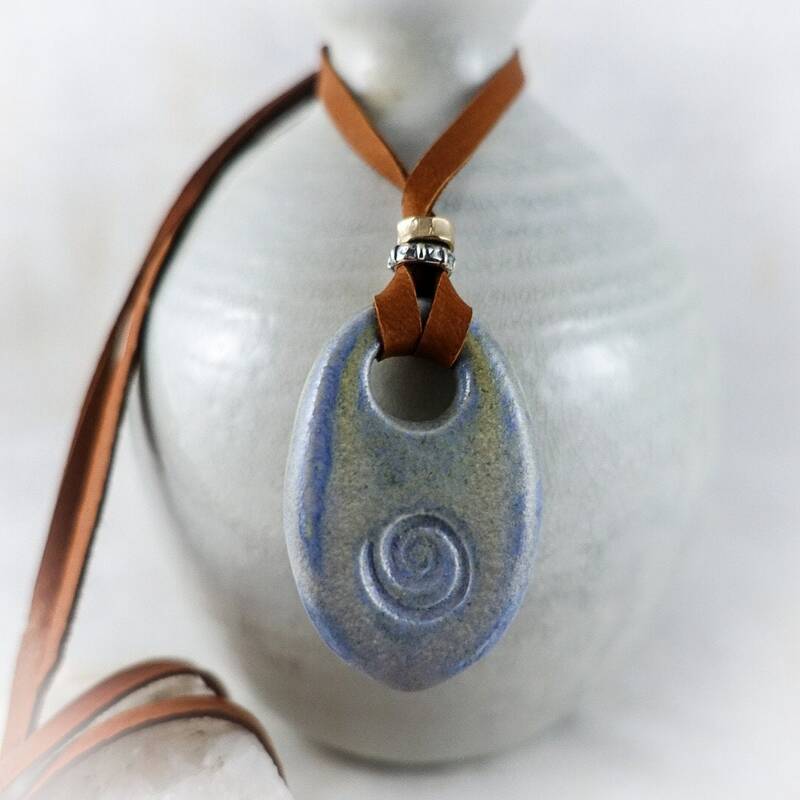 Hand crafted, ceramic pendant in a periwinkle glaze on saddle tan leather. These are user friendly, no clasp needed. Simply slide the closure for your desired comfort length. Layer it with other pieces or let it stand alone. She’s good like that. 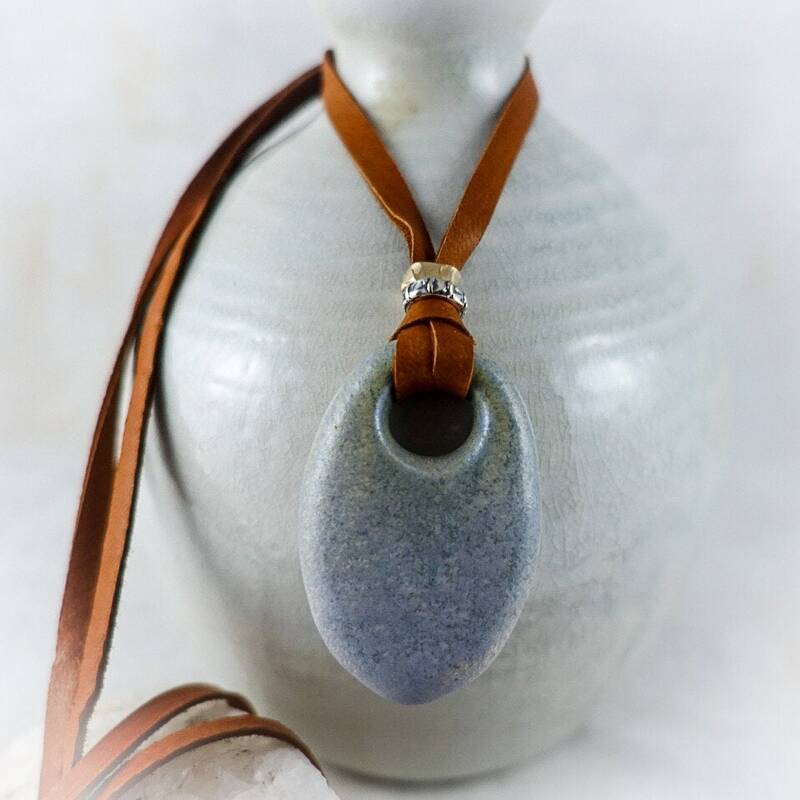 Featuring a sterling silver and bronze bead. Priced at $58.